Bob comes from a family of builders, so you know that he knows what he’s doing. He’s a very determined person, and is passionate with all the projects he does. With the help of his vehicles and friends, Bob can fix things easily. 1 Red and Yellow Check Button Down Shirt Bob’s fun and light button down shirt reflects his bright personality perfectly. 2 Blue Overalls Bob likes wearing blue overalls to work. 3 Brown Work Boots A pair of sturdy brown work boots are smart footwear for construction. 4 Yellow Hard Hat Always be ready and safe with a yellow hard hat, especially if you work in construction. 5 Brown Tool Belt Bob keeps his tools conveniently near with the help of his tool belt. 6 Construction Tool Props As a builder, you should have a complete set of tools with you. 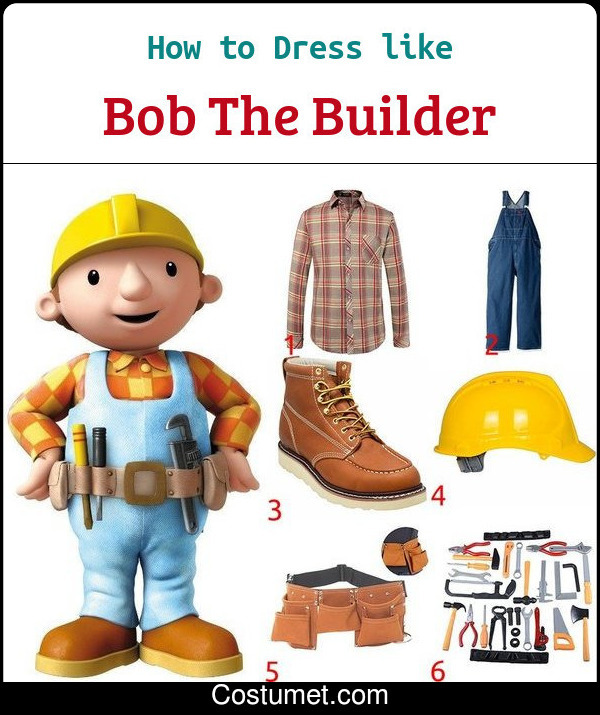 7 Kids Costume Set Transform your kid into Bob the Builder with this costume set. The first person to portray Bob the Builder was Neil Morrissey. He played the role from 1998 to 2011. For Nigel Thornberry costume you'll need Beige safari shirt, military green shorts and a nylon webbing belt of the same color. Beige, knee-high socks and brown, lace-up, leather chukka boots. Quicksilver's signature style reflects the trendy outfit of the 70s teenagers. Despite his silver hair that matches his name, Quicksilver also has a silver/metallic jacket on.